Fallishaw VA is a beautiful filly. She has a gorgeous head, big eyes, great body and outstanding carriage. One of only 17 fillies by FA El Shawan registered with the AHR. 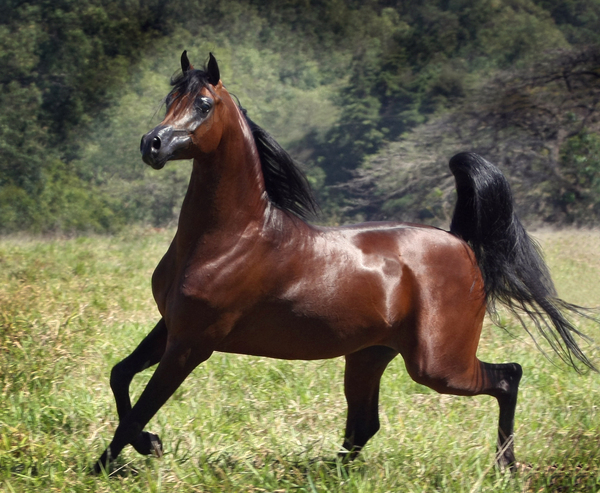 FA El Shawan (Marwan Al Shaqab x Foxbriar Shakita), was a very accomplished young stallion - the 2009 and 2010 Brazilian National Champion Stallion and the 2011 Arabian Breeders Cup Gold Champion and highest scoring horse in Las Vegas history and 2011 US National Champion Stallion. RJM Fathyma is by Pyro Thyme SA and out of the Penitent granddaughter RJM Fifi. Pyro Thyme SA was the 2012 US National Champion Senior Stallion and US National Champion 8 & over stallion, the 2008 Arabian Breeders World Cup Liberty Champion, 2007 Unanimous National Champion Senior Stallion, 2005 Scottsdale Supreme Champion, 2003 US National Champion futurity Colt. 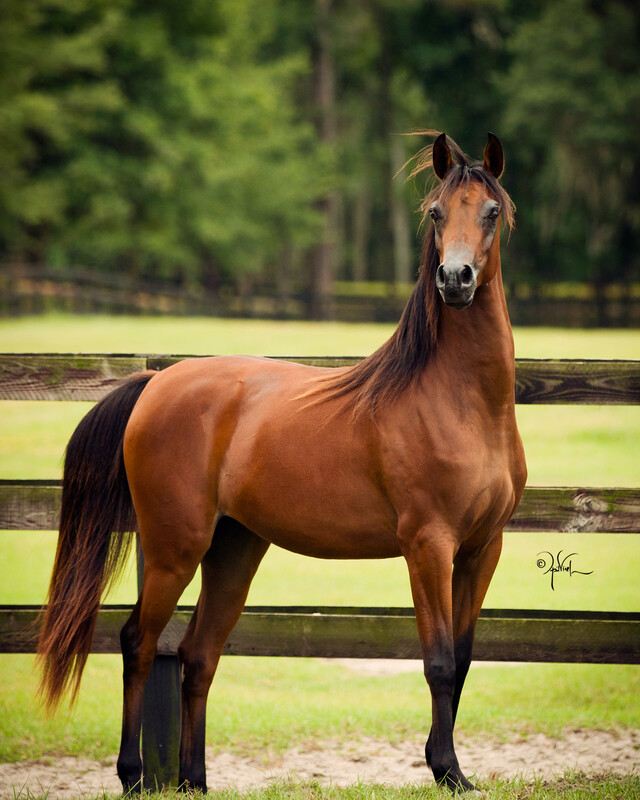 RJM Fathyma is a multi-champion halter mare and a 2010 US National Top Ten Breeding mare AAOTH. Falishaw VA has a fabulous pedigree, full of champions. 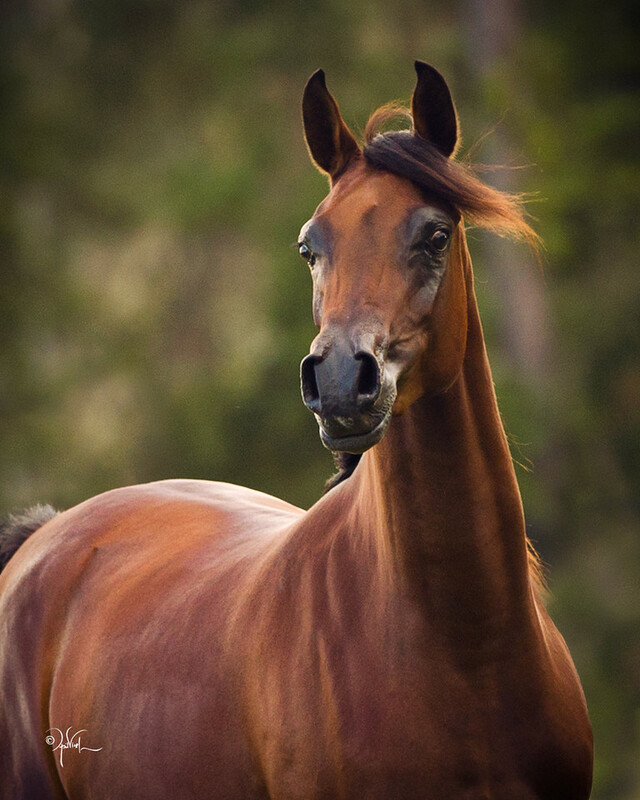 Her full sister, Fantaisha VA is now owned by Rohara Arabians and had two fabulous foals by Ever After NA. Falishaw VA is in foal to Ever After NA for a May 2018 foal (the expectant foal is nominated for Reg 12 spotlight (auction foal), SSS, Breeders Cup, and US & Canadian National Futurities and enrolled in the Sweepstakes and AWPA program).